Detroit first hosted a motor show in 1907, but for the first 80 years, it was a strictly regional affair. Then, in 1987, international manufacturers were invited to share the floor space with America’s ‘Big Three’, with the likes of Volvo, Mercedes-Benz, Jaguar and Porsche making an appearance. Today, along with CES in Las Vegas, the North American Auto Show (NAIAS) sets the tone for the automotive year ahead, with more than its fair share of debuts and reveals. Here are some of the hottest new vehicles on display at the 2019 Detroit Auto Show. The wait is finally over. The covers have been pulled off the new Toyota GR Supra, bringing to a close what must have been one of the longest teaser campaigns in history. The sister car to the new BMW Z4 uses a front-mounted 3.0-litre straight-six turbocharged engine driving the rear wheels. In this respect, it feels every bit a part of the Supra family tree. 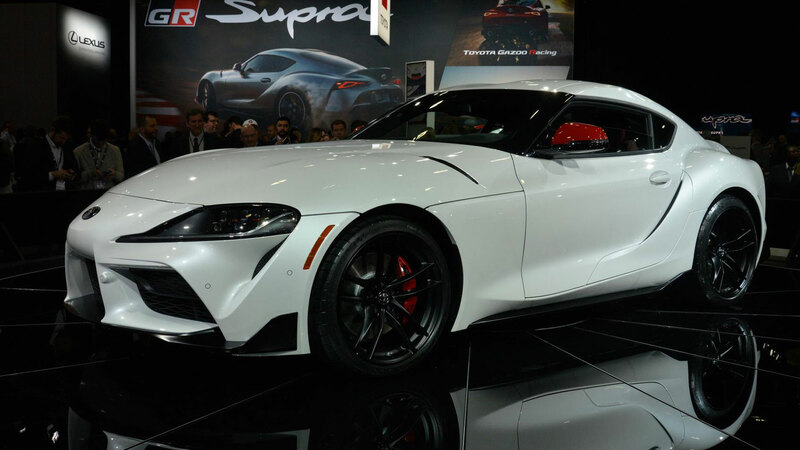 With 335hp on tap, the Gazoo Racing (GR) Supra will hit 62mph in 4.3 seconds before reaching a top speed limited to 155mph. We could tell you about the CO2 emissions and fuel economy, but we suspect you’d much rather know that it will be available in eight different colours and will be priced from £52,695 when the first customers take delivery in the summer. The star of Detroit 2019? We think so. ‘The most powerful street-legal Ford ever.’ Great, now that we’ve got your attention, let us tell you a little more about the 2020 Ford Mustang Shelby GT500. It’s powered by a 5.2-litre V8 producing more than 700hp, which is enough for it to hit 60mph in around 3.5 seconds and the quarter-mile mark in sub-11 seconds. It has been built with the dragstrip in mind, but the GT500 is 100 percent street-legal. 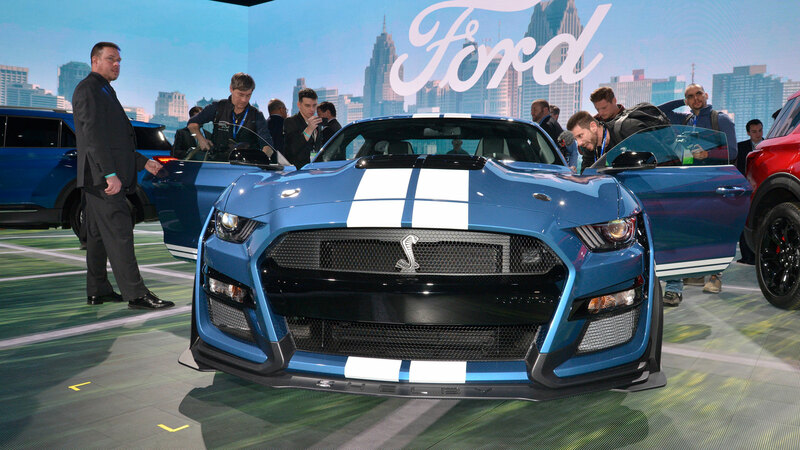 “With its supercar-level powertrain, the all-new Shelby GT500 takes the sixth-generation Mustang to a performance level once reserved only for exotics,” said Hermann Salenbauch, Ford Performance vehicles programmes global director. The 5.2-litre aluminium supercharged engine is built by hand and mated to a seven-speed dual-clutch transmission capable of shifts in under 100 milliseconds. Other enhancements include track-bred Michelin tyres, Brembo brakes and MagneRide suspension. Well, Ford couldn’t let Toyota grab all of the headlines in its own backyard. In America, big is best, so the Kia Telluride should feel right at home. It’s the largest Kia ever built, with space for eight people and power supplied by a 3.8-litre V6 petrol engine developing 291hp. An eight-speed automatic transmission is standard, as is a front-wheel-drive layout, but an on-demand all-wheel-drive system is available as an option. 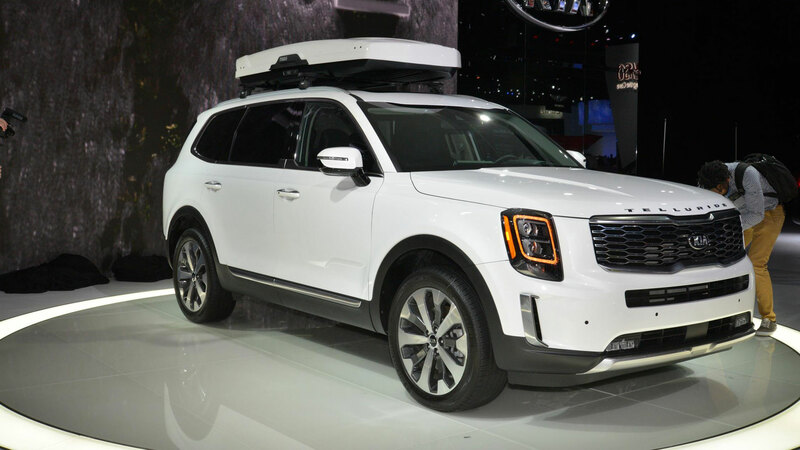 The Telluride is the first Kia to be designed specifically for the U.S., with the California-based design studio opting for a look that, from some angles, isn’t too dissimilar to the Volvo XC90. As a flagship model, the Telluride is loaded with the latest tech and safety equipment, but buyers can select from a range of enhancements, including double-stitched, quilted and extra-padded Nappa leather, reclining third-row seats, heated and ventilated first- and second-row seats and a cabin pre-conditioner. 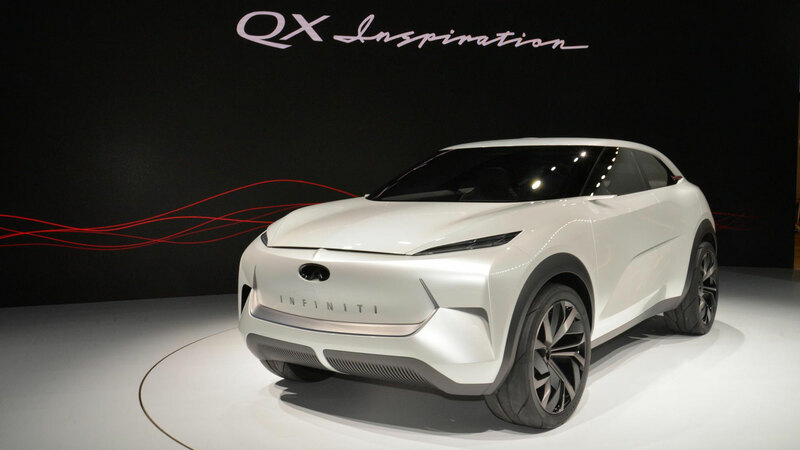 The QX Inspiration concept broke down on its way to the Infiniti stand, which could present us with an opportunity to make a wisecrack about the car’s future. But we won’t do that. Instead, let us tell you that the concept previews a future electric Infiniti, combining an electrified all-wheel-drive powertrain with an SUV body. The company says that all future Infiniti models will look something like this. It’s a good looking thing, with the ‘suicide’ rear doors opening to reveal a pillarless entry and a serene and calming interior space. The battery pack is mounted beneath the car, with electric motors on each axle, creating a flat floor for the four occupants. Infiniti hasn’t released any specifications, but if it can make its next SUV look half as good as this, we’re in for a treat. 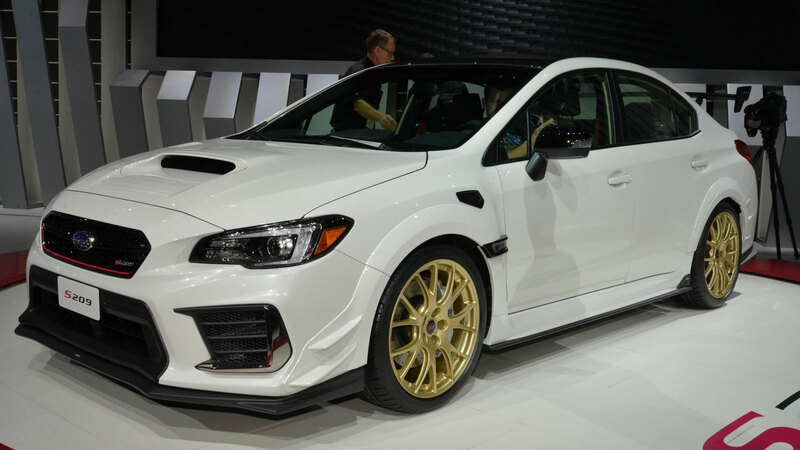 Sorry, Subaru fans, but the STI S209 isn’t coming to the UK. In fact, just 200 are being produced exclusively for the U.S. market, each one powered by 341hp 2.5-litre engine. This is the first time an STI-crafted S-line performance vehicle has been sold in the United States and it follows a number of JDM models stretching back to the S201 of 2000. The S209 is inspired by the WRX STI Nurburgring Challenge racecar, which won the SP3T class at the 2018 24 Hours of Nurburgring. The body is 1.7 inches wider than the standard WRX STI, the Dunlop tyres were developed exclusively for the S209, the suspension has been beefed up, while the spoilers and carbon-fibre roof panel and rear wing are all inspired by the Nurburgring car. Naturally, there’s a six-speed manual gearbox, along with an obligatory numbered badge on the centre console. The new Hyundai Veloster N TCR was designed in Germany and will compete in the 2019 International Motor Sports Association (IMSA) Michelin Pilot Challenge. It shares around 85 percent of its components with the i30 N TCR, including the 350hp 2.0-litre turbocharged engine. The launch of the Veloster N TCR racecar is good news for American Hyundai dealers, as the ‘race on a Sunday, sell on a Monday’ effect is sure to have an influence on the sales of the regular Veloster N. It can be ordered for upwards of €135,000 (£105,000) plus shipping, with customer deliveries set to begin in March 2019. 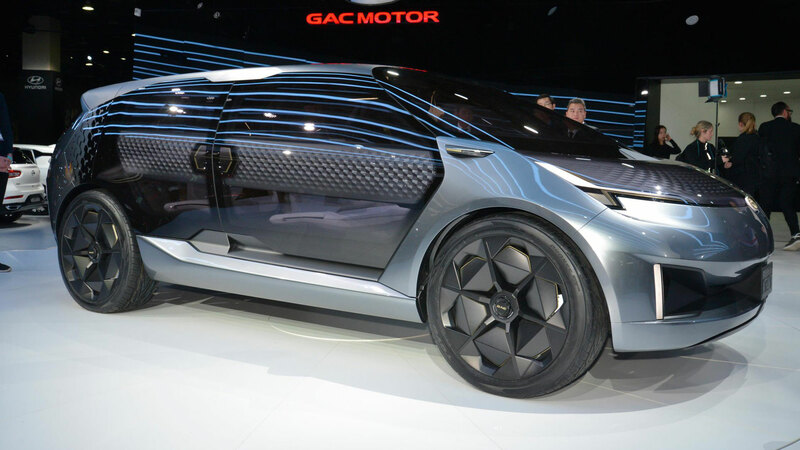 Another North American motor show, another GAC Motor concept. 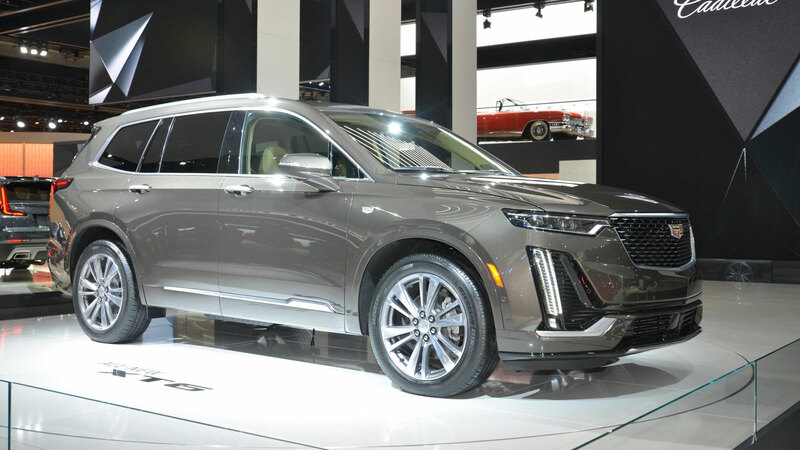 There are signs that U.S. customers might soon be able to purchase a GAC vehicle, with the news that the company has registered its North American Sales Company near Los Angeles and a new R&D centre has started operating in Detroit. So, maybe it’s time to take the Chinese company’s North American ambitions seriously. The Entranze concept is a seven-seat SUV with a 3+2+2 seating arrangement and an aircraft-inspired aisle. Not much is known about the concept, but earlier reports suggest that it will feature an electric drivetrain and it could launch in China as early as the summer. “Ultimately, automotive products are a means for people to connect during life’s great journey. The Entranze concept embodies our vision to provide mobility solutions that enrich lives,” said Yu Jun, president of GAC Motor. Cadillac’s assault on the SUV segment continues to gather pace, with the launch of the XT6. The three-row crossover joins the XT4, XT5 and Escalade in the SUV range, with Cadillac taking a ‘bells and whistles’ approach to the specification. In common with the Kia Telluride, the XT6 looks a little like the Volvo XC90, especially in profile and from the rear three-quarters. Not that this is a bad thing. Power is sourced from a 310hp 3.6-litre V6 engine mated to a nine-speed automatic transmission, with all-wheel-drive available on the Premium Luxury trim and standard on XT6 Sport. “Every seat is the best seat in the house,” said Steve Carlisle, Cadillac president. Volkswagen has updated the Passat for the North American market, giving it a fresh new look, standard-fit LED headlights, updated technology and improved driver-assistance features. The interior has also had a makeover and features new air vents, a revised instrument panel and a glass-covered touchscreen. 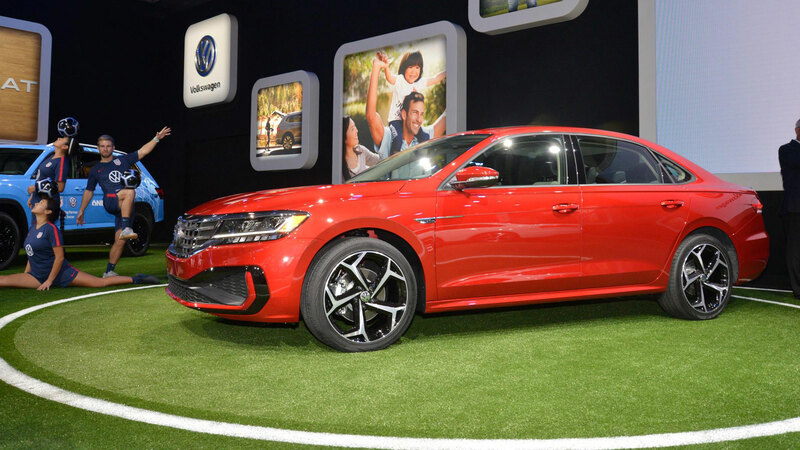 “Passat is the only midsize sedan to offer German driving dynamics at an affordable price,” said Scott Keogh, Volkswagen’s CEO of the North American region. Four regular trim levels and a launch-only Limited model will be available in the summer – just in time for your U.S. fly-drive vacation. 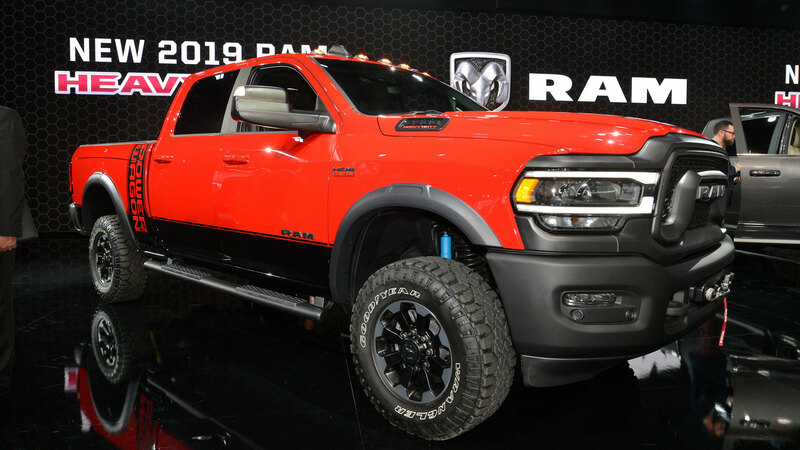 ‘The 2019 Ram Heavy Duty is the most powerful, most capable pickup in the segment with a towing capacity of 35,100 lbs. and a payload capacity of 7,680 lbs. Driving it all, a never-before-seen torque rating of 1,000lb-ft from the Cummins I-6 Turbo Diesel engine.’ For the best effect, read this sentence from the Ram press release with a patriotic American voice and a Bruce Springsteen tune in the background. In fairness to Ram, you have to shout when you launch a vehicle in the same segment as the all-conquering Ford F-Series. At its heart is a 6.7-litre turbodiesel engine, but a 6.4-litre Hemi V8 is also available. 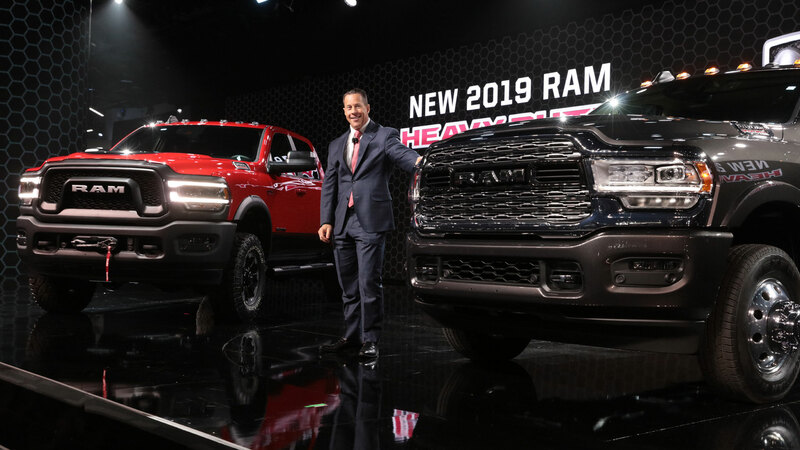 “Ram Heavy Duty owners constantly demand the highest levels of capability to tackle the biggest jobs… we now hold the most important tiles within the segment,” said a tubthumping Reid Bigland, head of Ram brand. Faced with new rivals – including the Kia Telluride – Ford is pulling out all the stops to ensure the Explorer stays ahead of the game. Central to this is the launch of two new models: a sporty Explorer ST and a new Explorer Hybrid. 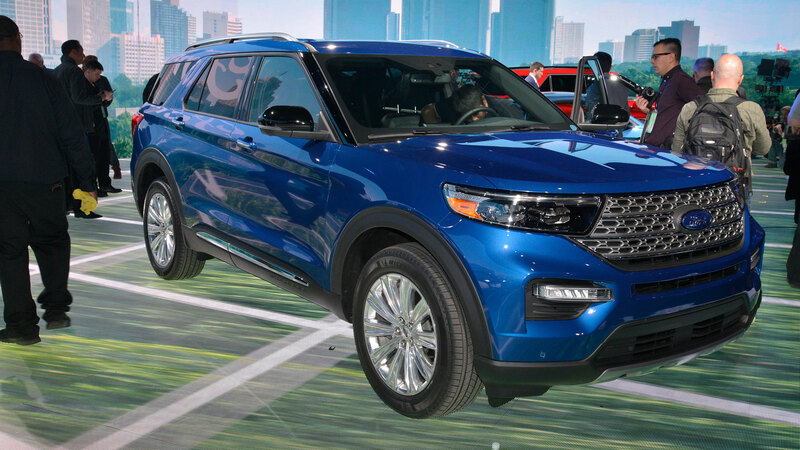 They combine to create the broadest-ever line-up of Explorer SUVs. The Explorer ST is powered by a 3.0-litre EcoBoost engine developing 400hp and 415lb-ft of torque, enough for it to hit a top speed of 143mph. Upgrades include an ST Street Pack and an ST Track Pack, with both models riding on 21-inch rims. Meanwhile, the 3.3-litre hybrid version is expected to deliver up to 500 miles of range per tank. Ford has announced that a new SUV is destined for Europe. The smart money is on this being the Explorer. 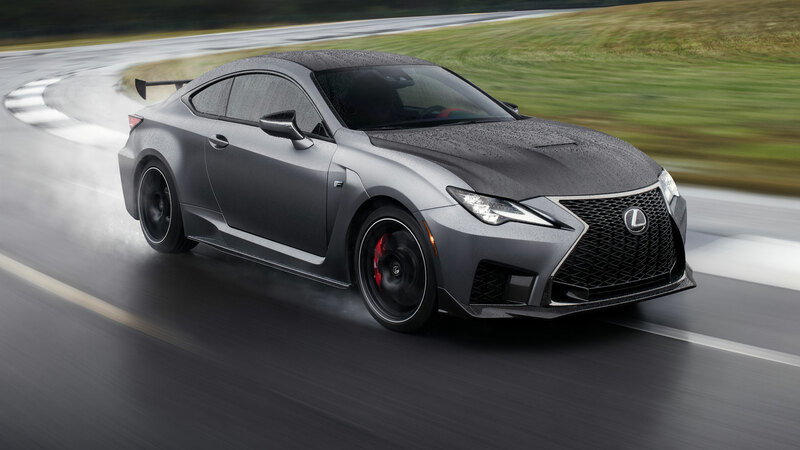 Lexus has updated the BMW M4-baiting RC F for 2020, with revised styling, a tweaked chassis, a slight increase in power and the fitment of launch control as standard. Meanwhile, the Track Edition features a massive carbon rear wing, heat-treated exhaust tips, a carbon bonnet, black alloys and a satin paint job. Weight is down by between 70kg and 80kg. Officially, the Lexus LC Convertible is a concept, but there are two reasons why you should take this with a pinch of salt. Firstly, it looks production-ready to us. Secondly, Lexus has confirmed that it will go into production. It’s a glorious thing, looking as alluring as the LS Coupe, only with less roof. Let’s hope the 22-inch wheels make production. Shell is teaming up with Jamie Oliver for better fuel stop grub Shutterstock Honda Hybrid vs. conventional cars: what are the real savings?